As a benefit to our clients, we provide customer account access. Through John Graham & Associates, Inc.'s strategic alliances, you have access to cutting edge financial industry technology and research. This support is delivered by our knowledgeable and dedicated staff. We take the time to get to know you and your financial needs on a personal basis. 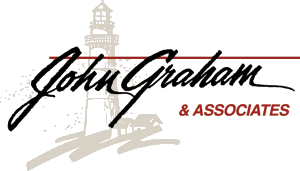 The financial planners at John Graham & Associates provide a high level of personalized one-on-one financial consulting service. Give us a call today to schedule your free consultation regarding your current financial situation.